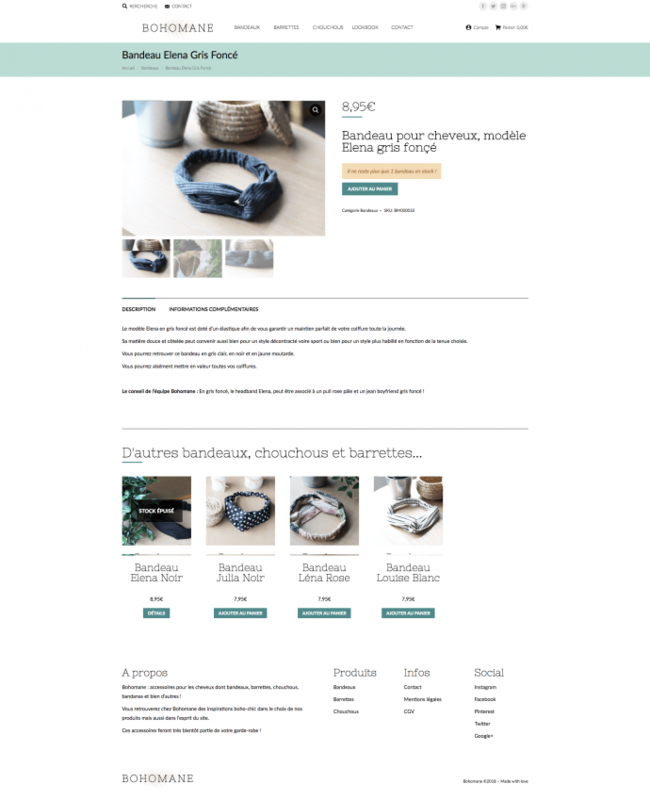 WooCommerce project with entire strategy reflexion about branding image. WooCommerce integration with tailored developments to suits demands. 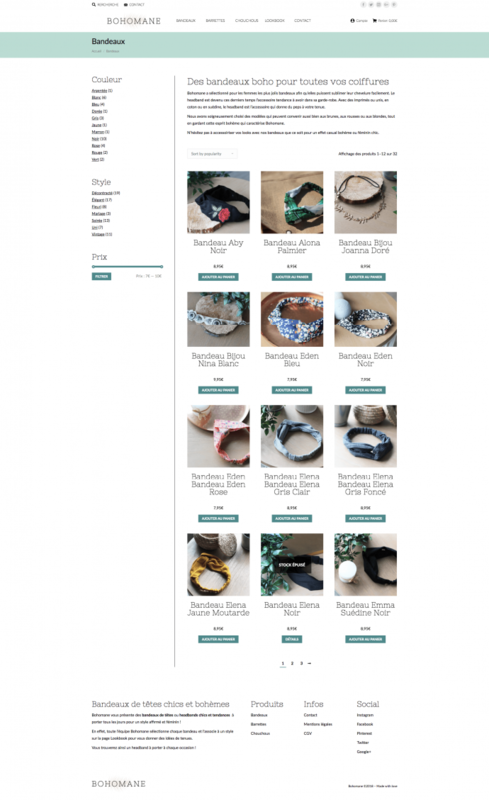 Training of users to WooCommerce. 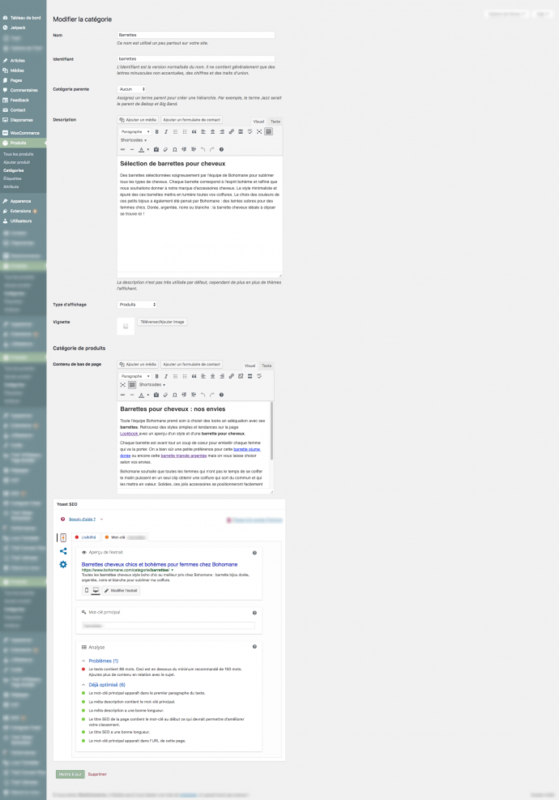 SEO was applied to the website : Yoast SEO plugin configuration, SEO advices, content writing advices, content fields added, conditions for displaying content, semantic markup, meta tags, etc.